Guests this week on Have You Been Paying Attention? 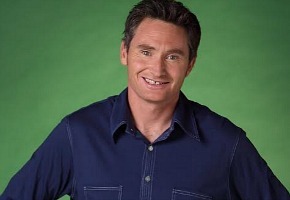 include Dave Hughes, Kate Langbroek, Jane Kennedy, Ed Kavalee and Sam Pang. Monday, May 26, 9.30pm on TEN. Tags: Have You Been Paying Attention? If you are quick you can see the replay of the first episode on CH 10 at 10.30. It was a very funny episode. i’d watch this show more if i could keep up with when its on, thanks for the heads up. Monday much better than over crowded Sunday night, what were they thinking. Edit: just did a search site & read its been on mon night for a few weeks now, oops. Is it just me missing the promos or haven’t they shown many? usually its to saturation point, but i’ve only been watching some of Masterchef on 10 & late nights on 11 so maybe i missed them.